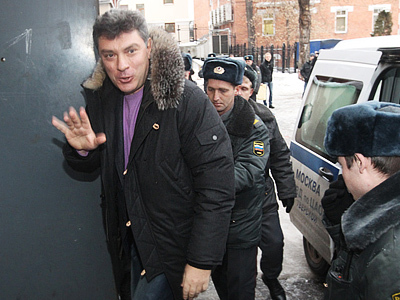 A court in Moscow has confirmed that the arrest of the opposition leader Boris Nemtsov, who was sentenced to 15 days in jail for disobeying police, was legal. Judge Yelena Stashina of the Tverskoy District Court announced late on Wednesday that she denied the appeal filed by Nemtsov’s defense, who had demanded that the case against their client be closed and the punishment cancelled. Meanwhile, the European Court of Human Rights officially confirmed on Tuesday that it accepted the defense complaint and gave it a priority status. "Nemtsov's defense has appealed to the Strasbourg Court following the violation of a number of his rights, as secured in the European Convention on Human Rights, including the right to a fair trial," the opposition leader’s lawyer Vadim Prokhorov said, cited by RIA Novosti. Nemtsov, a former deputy prime minister who now leads the opposition movement Solidarity, was arrested during a rally on Moscow’s central Triumfalnaya Square on December 31. He was sentenced to 15 days of administrative arrest for disobedience of police orders. 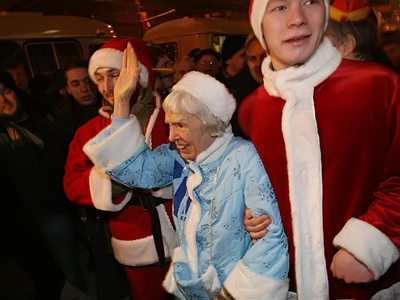 Opposition leaders Ilya Yashin, Eduard Limonov and Konstantin Kosyakin were also detained that day for taking part in the unsanctioned gathering. 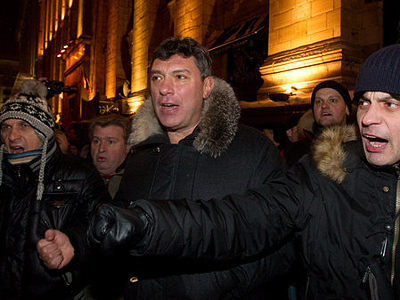 On January 3, Boris Nemtsov’s supporters attempted to stage a protest outside the detention facility where he was held. As a result, 14 people were detained, though all were released a day later. The point of the meeting on the New Year’s Eve was to support Article 31 of the Russian Constitution, which guarantees the freedom of assembly. For about two years now, attempts to hold such rallies have been made on the last day of each month of 31 days. But the opposition and authorities have so far failed to come to a compromise for one or another reason. 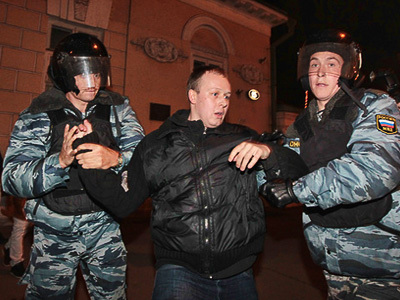 The previous Moscow mayor, Yury Luzhkov – who was dismissed by President Medvedev in September last year – banned the opposition “Marches of Dissent” on Triumfalnaya Square. The new city’s leadership, headed by Sergey Sobyanin, has softened its stance and allowed the opposition meeting. On this occasion though, the opposition wanted to hold a 1500-strong rally, but were allowed only half of that figure. 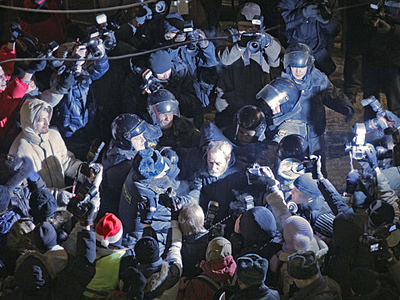 The opposition rejected the conditions and vowed to come to the square no matter what. The police fulfilled their promise to disperse the unsanctioned meeting.